Born and raised in Castine, Maine by a family of mariners, Bret graduated with a B.S. in Ocean Engineering and was commissioned as an Ensign in the U.S. Navy in 2008. His first tour of duty was aboard the USS Mahan (DDG 72) as the Main Propulsion Division Officer and Strike Warfare Officer. Following his first tour, Bret served as a project manager for the Norfolk Ship Support Activity, where he led multiple destroyer and cruiser repair projects. 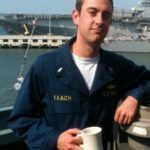 Upon leaving the Navy, he moved to Houston and was hired as an analyst at Vega Energy, where he continues to work in business development. He has served on the board of both the chapter and the foundation since 2016. Originally from the Houston area attended the Naval Academy and graduated with a BS in physics in 2010, upon being selected for submarine service. Unfortunately due to budget cuts in 2011 he was released from his service obligation, but took this as an opportunity to continue on in the Navy Reserves and get involved with USNA starting as a Blue and Gold Officer and alumni involvement while working as an engineer in Austin. He served as VP of the Austin Chapter from 2014-2016 and moved to Houston to grow a career in his hometown. Rich was born and grew up Walworth, WI. He enlisted in the Air Force in the fall of ’63. After attending the Air Force Academy Prep School, he saw the light and traded AF blue for Navy blue. After graduation he headed for Pensacola and arrived 19 July 1969 the day before Neil Armstrong walked on the moon. He received his Wings of Gold and was designated a Naval Aviator in Jan 1971. His first squadron was VP-50 flying brand new P3-C’s out of NAS Moffett Field, CA with deployments to Adak, Alaska and Guam. He then went back to VT-3 flying old T-28’s out of NAS Whiting Field, Milton, FL training new aviators how to fly formation. Next was VQ-4 flying EC-130’s out of NAS Patuxent River, MD keeping an aircraft in the air 365 days a year 24 hours a day as the “survivable communication link” to our Ballistic Missile Subs. Then back to VP-40 again flying P3-C’s of NAS Moffett, CA with deployments to Misawa, Japan and Diego Garcia. His last tour was NAF Mildenhall, England flying C-12’s around Europe carrying VIP’s, staff and cargo. He retired from the Navy in October 1987. He started his career at Continental Airlines as a S/O on the B-727 in Houston. He flew and instructed on the B727 was the Fleet Manager when he flew as the Captain of the last B-727 flight at Continental. He was the Captain on his first last flight from BWI to IAH the day before he turned 60. He was able stay on with Continental as a Flight Instructor on the B-737 in the Training Department. 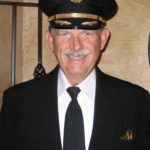 When the law changed the retirement age for pilot to 65 he was able to fly again and had his second last flight from Calgary to IAH the day before he turned 65. He has been a member of the TX Gulf Coast Chapter since 1989. He served as Chapter President from 1996-1999, National Trustee 1999-2002 and has been Treasurer since 2005. As one of the 9 largest chapters, the TxGC, for the last several years, has had the privilege of being part of the 30, US Naval Academy Alumni Association’s Board of Trustees in Annapolis, responsible for the development and oversight of the Association’s policies and programs. 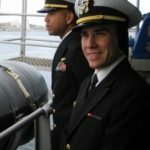 A native of San Antonio, Texas, John graduated with a BS in Economics, and was commissioned as a US Navy Ensign in 2002. He attended Navy Supply Corps School in Athens, Georgia, then served as the Disbursing & Sales Officer in USS TRENTON LPD-14 home-ported in Norfolk, Virginia. In 2006, he returned to Annapolis as a Food Service & Contracting Officer for King Hall, then for dining services at Naval Academy Business Services Division (NABSD). In 2009, he fulfilled his Navy duties, and joined ExxonMobil in Houston, where he now serves as a Logistics Specialst for ExxonMobil Chemicals Supply Chain. He has MS degrees in General Administration from Central Michigan University, and Supply Chain Management from Michigan State University. He’s married to the former Sandra Hendrix of Jackson, Mississippi, and has two daughters, Eleanor, born in 2016, and Hazel in 2017. He has served as Vice President of the TxGC Chapter in 2013 and 2015, and President 2014 and 2016. 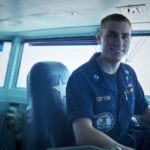 A native Houstonian, Matthew L. Guyton graduated from the United States Naval Academy in 2007 with a Bachelor of Science in Computer Science. He was commissioned as an Ensign in the United States Navy and began his service as the Gunnery and Ordnance Officer in USS STETHEM (DDG 63) home-ported in Yokosuka, Japan. In 2009, Guyton entered Nuclear Power School in Charleston, South Carolina and later completed Prototype training at MARF in Ballston Spa, New York. Guyton’s second tour was in USS JOHN C. STENNIS (CVN 74) as a Reactor Propulsion Division Officer. After five years of active duty service, Guyton returned to Houston and began a career in the energy industry at Bechtel Corporation. Serving in several technical positions, Guyton supported multiple domestic and international oil and gas projects. 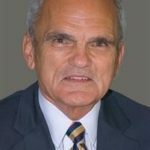 In 2016, Guyton was awarded a Master of Business Administration from Rice University. While at Rice, Guyton served as the Vice President of External Relations for the Veterans in Business Association, served on the Board of Entrepreneurs’ Organization- Houston Veterans Business Battle, and on the committee of the Rice Energy Finance Summit. Guyton currently works as an Associate in Wells Fargo Securities’ Energy & Power Investment Banking group focusing on mergers and acquisitions. 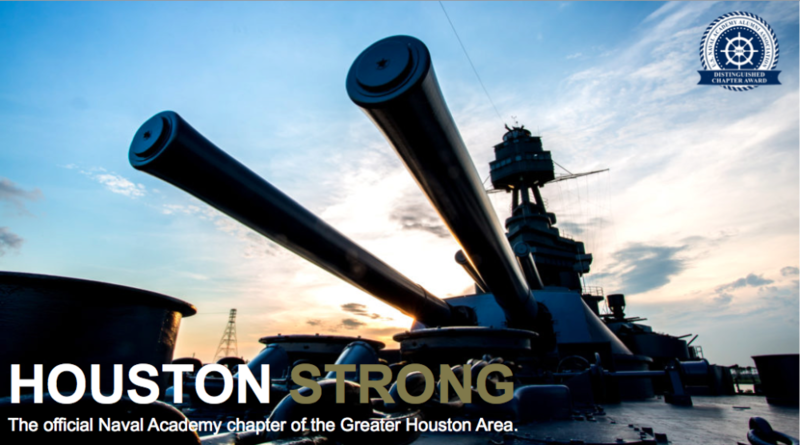 Guyton has been an active member of the United States Naval Academy Alumni Association, Gulf Coast Chapter since 2012. Matt is a Chapter Past-President (2017), and previously served as Vice President and co-founded the Top Gun Benefit, the Chapter’s signature philanthropic event. Guyton and his wife, Brew G. McKenna currently resident in the Houston Heights. Ken grew up in Clear Lake (just south of Houston) and was appointed to the Naval Academy by Congressman Tom DeLay, graduating in 1999 with a B.S. in Ocean engineering and receiving a commission in the United States Marine Corps. As a Supply Officer based on the East Coast, Ken led Marines in supply, warehousing, and logistics operations at Camp Lejeune, North Carolina, at the air station in Beaufort, South Carolina, and while deployed at sea. In 2004, Ken left active duty and returned to Texas. His first civilian job was with Technip USA supporting procurement operations for billion dollar oil and gas facility projects, both onshore and offshore. Ken is now an industry veteran with over ten years of experience in various commercial and business development roles working previously for ExxonMobil and currently for a Shell Oil subsidiary called Motiva Enterprises. While working, Ken received an MBA from Columbia University in New York. In 2016, Ken was promoted to Father of a little boy, but it is still not clear if he is tough enough for the demands of the job. A native of Oklahoma, Jim graduated with a BS in History and a minor in Naval Science, and was commissioned as a US Navy Ensign in 1971. When he graduated, Navy spelled Ocean (per the Sup), so he spent 10 months aboard a WWII DE in the Pacific as the Gunnery Officer. Jim then went to flight school and became a Naval Aviator. He was stationed in Barbers Point, Hawaii with VP-17, flying P-3A’s and P-3B’s. After 2 deployments including rescuing the Myaquez from Cambodia, he relocated to NAS Corpus Christi as a multi-engine instructor. 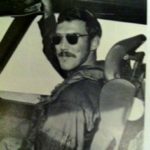 After leaving active duty for the reserves, Jim flew for several airlines, the last being United. He is currently an instructor and check airman for Crew Pilot Training. He is married to De Medford and has 2 daughters, the youngest is a 2012 graduate and former P-3C pilot and now a P-8 pilot. Upon graduation and commissioning as a Nuclear Surface Warefare Officer, Royce served 8 years active duty in the Navy Nuclear Power Program, and 22 years in the Navy Reserve, retiring at the rank of Captain. His USNA BS degree was in mathematics and finance, and has MS degrees in nuclear engineering, petroleum engineering, and information technology management. 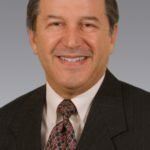 He has over 35 years of experience with corporations ranging from Fortune 15 to startups in engineering, information technology, business development, and operations. He recently retired in 2016 from the Nautical Systems Division of the American Bureau of Shipping. He is a registered Professional Engineer. Royce is a qualified member of the Montgomery County Community Emergency Response Team (CERT). He is an Eagle Scout, and serves on the Shooting Sports Committee of the Sam Houston Area Council, Boy Scouts of America, and is the Shooting Sports leader for Troop 776 in Willis, TX. He is an NRA Certified Training Counselor, NRA Certified Firearms Instructor (Rifle, Pistol, Shotgun), NRA Certified Chief Range Safety Officer, Texas License-To-Carry Instructor, and Texas Hunter Education Instructor. A life member of the USNA Alumni Association, he has served as a member of the Board of Directors of the Texas Gulf Coast Chapter, a Blue and Gold Officer, was instrumental in the organization of the Texas Gulf Coast USNA Parents Club, has served as the Texas Gulf Coast Chapter Trustee on the USNA Alumni Association Board of Trustees, and was elected as the USNAAA Central Region Trustee in 2014, for a three-year term, that ended in 2017. After spending three of his eight years in the Marine Corps flying combat missions in SE Asia for the Ugly Angels of HMM 362 and Air America, Bart began a career in the oil business. That eventually led to 30+ years marketing valuation services to the energy industry, most recently with Stout Risius Ross. Bart was a Blue & Gold Officer for the Houston area for many years, and has been in an active member, and lunch speaker coordinator for the TxGC, as well. Rick was born in Pittsburgh, PA and moved to Texas as soon as he could. He attended Carnegie-Mellon University before attending USNA. He graduated from USNA with a B.S. in mathematics and was commissioned as a Marine Corps Officer. He attended Navy Flight School and was designated a Naval Aviator. He flew A-4 Skyhawks for most of his military career. He was a squadron member of VMA-214, VMA-311, VT-21 (flight instructor), H&MS-13, WTS-17 and MAG-42. At a midpoint in his flying career, he graduated from the Navy Fighter Weapons School (Top Gun) Adversary Program. After military duty, he flew corporate jets (Gulfstream II and Falcon 20) out of Hobby Airport for a local oil company. When their flight department was shut down, he was interviewed and hired to be a NASA Space Shuttle simulator instructor at the Johnson Space Center (JSC). He remained in the Human Spaceflight Training arena for the next 26 years, working for a variety of contractors (Ford Aerospace, McDonnell-Douglas, Rockwell, Boeing/Lockheed-Martin) as a simulator instructor and then transitioned into various positions in Space Shuttle and International Space Station training department management. He retired from the JSC contractor workforce in 2010 and has served the TxGC Chapter as the Army-Navy Golf Scramble Chair for the past three years. A native of San Antonio, Ed was commissioned as a Marine Corps 2ndLt in 1972. He earned Navy Flight Wings, and flew helicopters in various squadrons at MCAS New River, and aboard ship in the Mediterranean Sea. Upon leaving active duty, Ed moved to Houston and worked as an Applications Engineer for a compressor manufacturer. He later worked in various sales and account management positions for a software/services company. He is currently the Director of Business Development for BDO LLP, a professional services firm providing tax and advisory services to public and private companies. Ed serves on the Greater Houston Partnership (GHP) Education Committee (K-12), and the HISD District V Trustee’s Advisory Council. He is a Board member of the Jones Partners, affiliated with Rice University’s Jones Graduate School of Business. He is an active member in Business Executives for National Security (BENS) and the National Association of Corporate Directors (NACD). He also supports the Combined Arms Transition Center. Ed has two daughters, graduates of SMU and Texas A&M University. 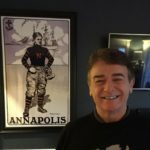 Bill grew up in Dallas, Texas, followed his two brothers Les (Class of 1993) and Jack (Class of 1997) to Annapolis, and graduated with a BS in English with the Class of 2001. Bill defeated his two brothers in the game of maritime service as he was the lone pilot among the three. He earned his Wings of Gold and was designated a Naval Aviator in February of 2003. 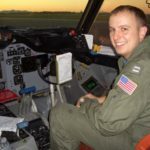 Thereafter, he joined the Fighting Marlins of VP-40 out of NAS Whidbey Island and deployed to Southeast Asia for most of 2005 where he flew missions in the P-3C Orion in support of Operation Enduring Freedom-Philippines. In November 2006, Bill returned to Texas as a primary flight instructor flying the T-34C Turbomentor as a member of the VT-28 Rangers out of NAS Corpus Christi. Bill left active duty in February of 2009, but continued to fly the T-34C in the selected reserves until 2013. He spent the first few years following active duty working for and with various defense industry contractors, including some time in San Diego, California where he was a part of the Navy’s UCAS program at Northrop Grumman that developed the first carrier-capable autonomous unmanned air vehicle—the X-47B. Bill graduated with a JD from South Texas College of Law Houston in December 2014. Bill now practices law with the corporate group in the Houston office of Baker Botts L.L.P. where he focuses on mergers and acquisitions and private equity. He is married to the former Amanda Knight of Friendswood, Texas who is a sales manager for licensed sports apparel and merchandise provider Fanatics, Inc.